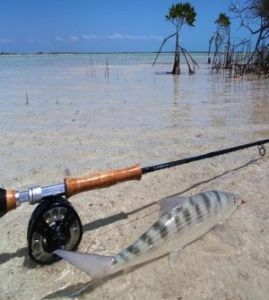 Never thought that Tarpon fly fishing could be this much fun. Over 10 landed fish during the day. The Rio Hatiguanico is a beatiful fishing destination in the middle of nowhere and we did not see anybody else during our fishing day. This river can be reached with approx one hour car drive from Playa Larga or few hours from Cuba's capital Havana.